How Far is Vertex Surya Meadows? 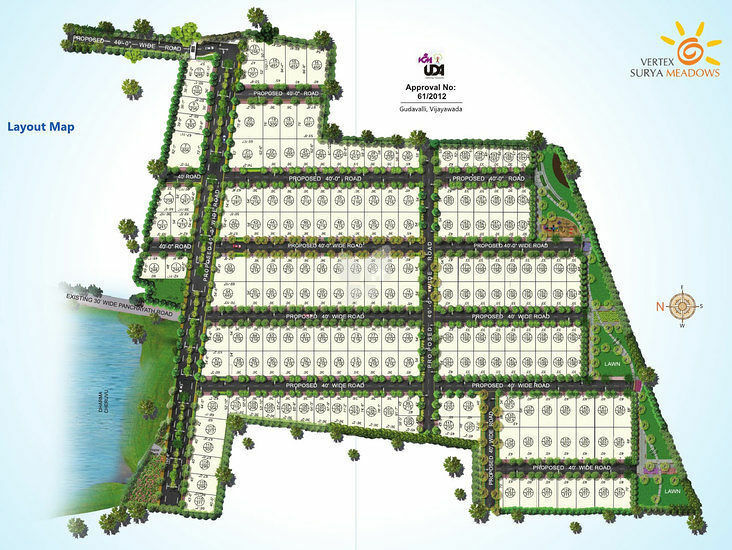 Vertex Surya Meadows is one of the popular residential developments in Gudavalli, neighborhood of Vijayawada. It is among the completed projects of its Builder. It has lavish yet thoughtfully designed residences. i.Compound Wall with Solar Fencing. iii.60' Main Road of BT top with Central Divider, Landscaping and Central Lighting..
vi.40’ wide Internal Roads of BT Top.